Price Reduced! 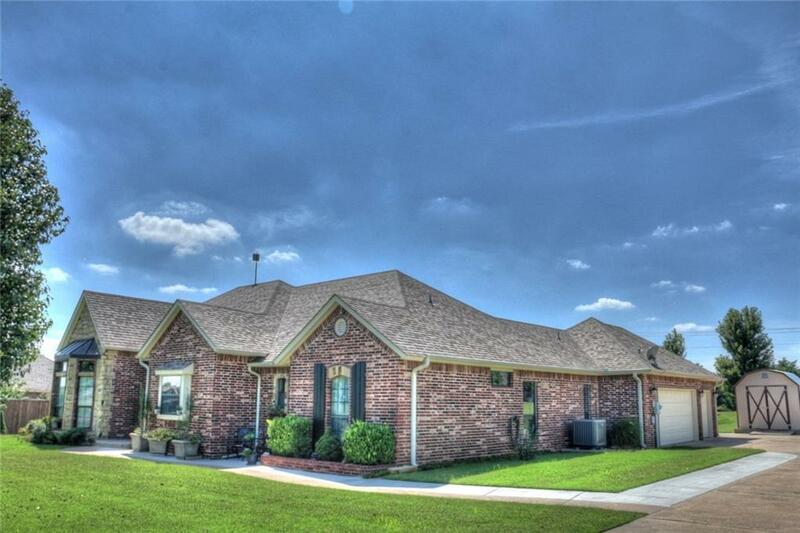 Beautiful one owner home on an acre lot!!! 4 bedrooms, or 3 bedrooms and an office. The kitchen has nice granite counter tops and is open to the living and dining areas. The master has a nice walk-in shower. The back patio is screened in. Hot tub in backyard can stay with the home. The backyard is partly fenced in for kids and pets. There is also a cedar fence by the driveway. The backyard has a storage building! There is a solar tube in the garage and in the master bathroom. The garage has a generator! Storm shelter!!! The neighborhood goes to SOUTH LAKE ELEMENTARY SCHOOL!!! (One of the top elementary schools in the state). Come and see before it is SOLD!! !